Bushwalking is one of the most popular ways to see the many wonderful things Australia has to offer on a campervan hire holiday. Also referred to as hiking, rambling, tramping, trekking or simply walking, bush walking is something that nearly everyone can do; from those young, to those young at heart. Bush walking allows you to walk in places you, and others may have never walked before. Discovering hidden pockets of rainforest, untouched beaches and deserted landscapes is sure to offer unforgettable experiences. For those keen hikers, who are looking to embark on an adventure that will span a few days, the Six Foot Track will do just the trick. This Blue Mountains Track is one of Australia's classic walks, and will take hikers from Katoomba to the Jenolan Caves in the stunning Blue Mountains. The track will take walkers through vastly contrasted landscapes of rainforest, eucalypt forests and open grazing country. Bowtell's Bridge is a wire spiderwork suspended high above the Cox's River and is sure to be a highlight of the track. Ideal for those seeking an "uplifting" walk, the Cape Byron Track will take hikers along the North Coast of New South Wales, on Australia's easternmost mainland point. This track will take you high above the coast, beginning in Byron Bay and circling the peninsula on which the lighthouse sits. Along the way, why not take a dip in the cool calm waters of the sheltered bay, making sure you keep a lookout for humpback whales. 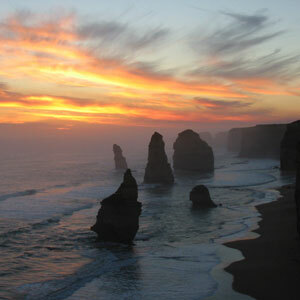 The Great Ocean Walk is positioned on the spectacular west coast of Victoria and spans for an impressive 104 kilometres. This walk weaves through several remarkable national parks and will really expose walkers to the wildly picturesque nature of this stunning stretch of coast. The highlight of this walk is undoubtedly the 12 Apostles, which rise majestically out of the Southern Ocean and will capture the hearts and imaginations of all who witness them. This trail is located in central Victoria and passes through a region that was once the richest gold mining area in the world. In total, there are 280 kilometres worth of track, so most people only attempt several sections of the track. The track passes through the southern end of the Great Dividing Range and offers some truly incredible views of the spectacular scenery that these parts are known for. Fraser Island boasts an impressive array of tracks, that span over 90 kilometres across the island. 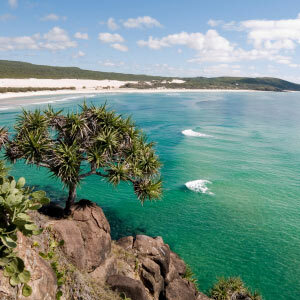 The Fraser Island Great Walk will expose visitors to all of the highlights of Fraser, including the amazing lakes, the incredible sand dune systems and glorious pockets of rainforest. Up to 8 days can be spent trekking this wonderful terrain, however most visitors choose to simply embark on the short sections of the track. Lamington National Park is full of fantastic walking tracks that will expose you to fantastic rainforest and unforgettable waterfalls. Embark on the Tree Top walk to discover the usually unseen canopy of the rainforest. Climb the tree top ladders and be rewarded with spectacular views of the surrounding outlook. Continue your adventure on the Elabana Falls Track, which will lead you to stunning waterfalls that make for an idyllic picnic spot. This 6 day walking track travels through the heart of the Tasmanian Wilderness World Heritage Area. Covering 65 kilometres from Cradle Mountain to St Lake Clair, this track will expose hikers to stunning scenery of mountains, lakes and forest. This is Tasmania's best walking track, with several shorter tracks within it making it possible for just about anyone to give it a go. 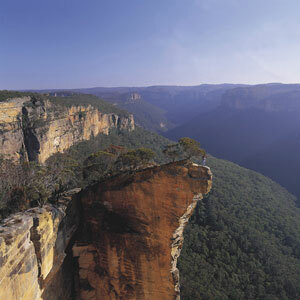 Popular short tracks include the Cradle Mountain Summit, Barn Bluff, Lake Will and Hartnett Falls. The Heysen Trail passes through some of South Australia's most diverse landscapes; from coastal landscapes and native bushland, to rugged gorges and untouched pine forests, this track has it all. 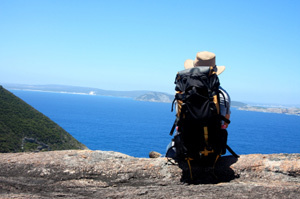 The southern section, from Cape Jervis to Spalding is ideal for beginners, while the northern section, from Spalding to Parachilna Gorge will provide a challenge for those more experienced hikers. 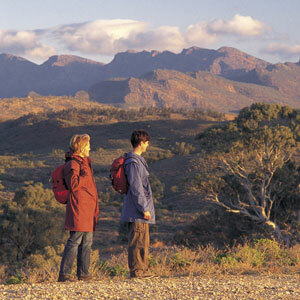 The Stirling Range offers some of the best bush walking in Western Australia. Some of the most popular walks in the range include Bluff Knoll, Toolbrunup Peak, Ellen Peak, Mt Trio and the Stirling Ridge Walk. The area is well known for its flowering plants, with wildflowers a colourful highlight in September and October and orchids in full bloom in August to early November. The Larapinta Trail is a track that should be embarked on by anyone who wishes to explore the very heart of Central Australia. Spanning a total distance of 223 kilometres, this track will take you along the backbone of the West MacDonnell Ranges, offering unsurpassed views of Simpsons Gap, Ormiston Gorge and countless other outback highlights. Each section is vehicle accessible making it easy to pick and choose where you wish to hike. New Zealand is another country that offers fantastic walking tracks. The best way to experience these tracks is on a campervan Queenstown holiday.